Constable McMaster was born in Georgetown, Halton District DOB 7 August 1904, Parents Robert & Annie (Hotop) McMaster Youngest of seven (7) children, Samuel (a former TTC Commissioner), Ethel, Robert Detective, Toronto Police, Wilfred, Ivy, & Elsie McMaster. 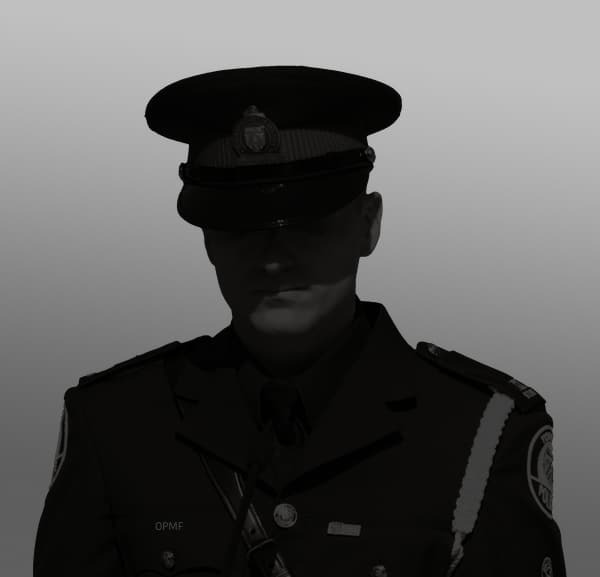 Joined Toronto Police on 6 Mar 1928, Badge # 775. He was assigned to the Central Police Garage for five years doing traffic duties. While on patrol on 24 April 1935 a florist delivery truck ran the intersection at Peter and King in Toronto, striking McMaster's motorcycle. He was thrown to the sidewalk sticking his head. He later died at Toronto General Hospital from his injuries. He was laid to rest in the family plot in Glen Williams Ontario, beside his father Robert Sr. who had passed away just two weeks prior to the accident that took Edwards life.